Create defined yet natural-looking brows with the High Definition Brow Crème; a versatile formula that helps to fill in brows and enviably frame the face. Arriving in a range of shades that cover hair colours ranging from fair to dark, the brow crème works on all hair and skin tones. 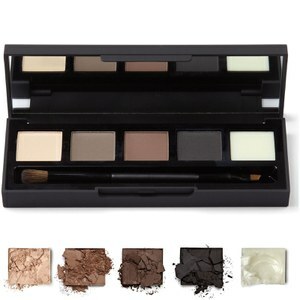 The rich formula glides onto brows like a cream, but dries with a matte finish, similar to a powdered product. Working to fill sparse brows and add definition in the form of transfer-resistant hair-like strokes, the brow crème ensures eyebrows appear flawless all day, and all night. Apply and blend effortlessly using our Fine Angled Brow Brush.